Credit makes the world go around. From major purchases to impulse buys in the checkout line, credit has become the keystone of our economy. Credit cards arrived on the scene centuries ago, but their evolution is a fascinating look at the way we spend. 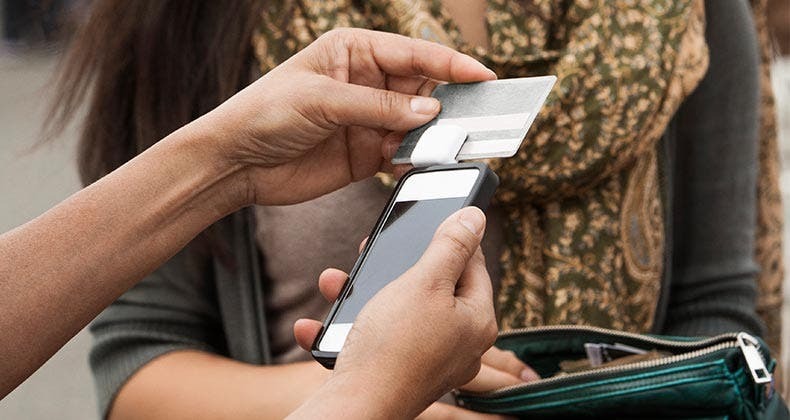 While the idea of a trust-based charge card has been referenced throughout novels and intellectual circles since the 1800s, the first iteration of what we know as a “credit” today began to take hold in the early 1900s. Popular hotels and vendors began to issue charge coins: metallic rings inscribed with the merchant’s name and an individual account number. Seen as a status symbol at the time, charge coins came in all shapes and sizes for loyal patrons who wanted a simple way to tally their purchases. The rub? Fraud ran rampant. Hucksters soon found ways to duplicate or swipe the coins from honest customers who had little reason (or precedent) to believe their financial security was at risk. The Charga-Plate, developed at the onset of the Great Depression, quickly became the charge coin’s successor, and became the mold for how our credit cards look and feel today. These merchants, often department stores, debuted a proprietary process to record transactions: each individual purchase was associated with a paper charge slip and imprinted to a common ledger. While the end product itself differed vary little from what we might consider traditional bookkeeping, the Charga-Plate was revolutionary for the time. By the 1950s, word was out. 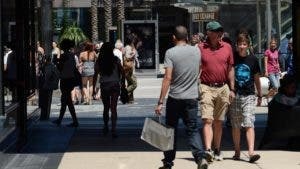 Credit-based shopping had created a huge demand, giving rise to a generation of consumers ready for a card that could be accepted outside the walls of a single department store alone. The Diners Club card would soon fill the void. 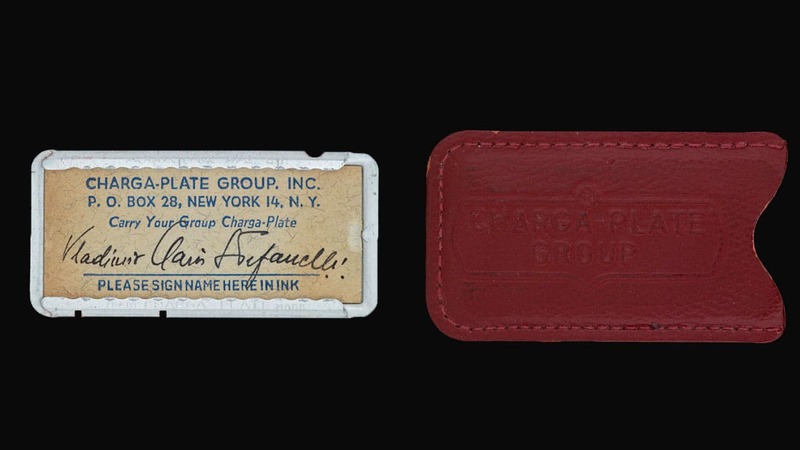 New York businessman Frank McNamara developed a cardboard card conveniently weighted and shaped to fit comfortably inside a wallet. Like today’s cards, it could be used at multiple merchants, collecting a balance to be paid at the end of each month. Its first usage? Frank himself. While dining out at Major’s Cabin Grill with his business partner — an event that Diners Club still refers to as its “First Supper” – McNamara charged his first meal. With the near-immediate success of Diners Club, banks saw their opportunity. At the time, all banking was done on local and state levels, and the idea of a credit card being accepted nationwide (let alone internationally) was a stretch of the imagination. Bank of America (then a California bank) was the first to give it a broader attempt, introducing its Bank Americard to qualifying customers. Like the Diners Club card, the Bank Americard would be accepted anywhere merchants were willing to accept it. Through the 60s and 70s, Bank of America began to franchise its concept and allow competitor banks to issue their card for a small cut of the profits. This scheme eventually led to a complete rebrand: all cards thereafter would be issued under the name Visa. Meanwhile, on the opposite side of the United Sates, Mastercard was developing a business model not unlike its future competitor. Mastercharge (as it was originally known) came about through a cooperative effort between several northeastern regional banks looking to expand both their business and that of their customers. 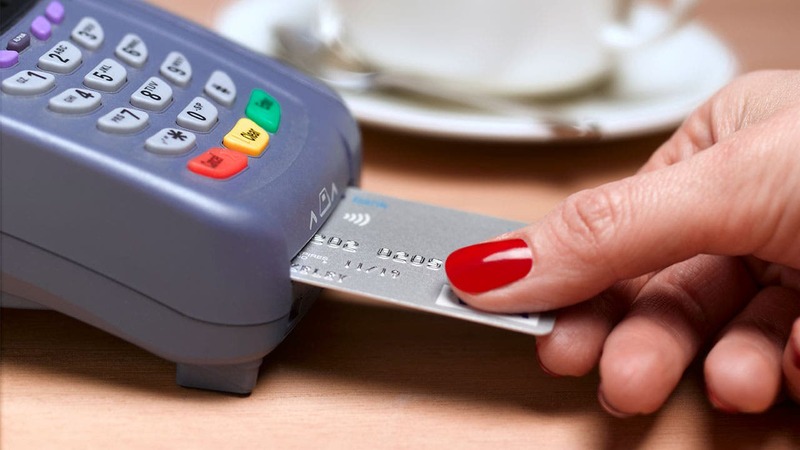 Following the Diners Club model, Mastercharge sought to convince merchants to accept their shiny new payment method, expanding their potential to draw additional customers who were becoming increasingly fond of a cash-free night out. By the late 70s, Mastercharge had changed its name to Mastercard and widely developed its partnerships — both with banks who were willing to issue it and merchants who were willing to accept it. As credit cards became more popular, a growing number of issuers arrived on the scene. Banking deregulation – combined with favorable interest rates and the financial optimism of the 1980s – encouraged the rapid expansion of the credit industry. 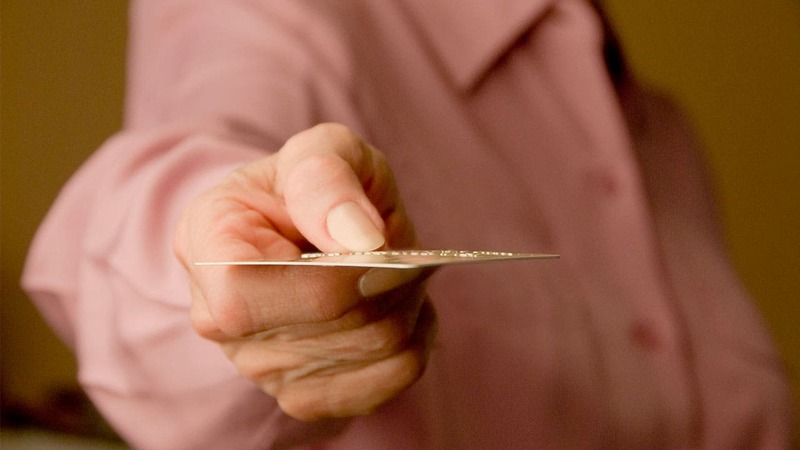 With that came the concept of offering rewards to credit cardholders for their spending. Citibank, one of the newest credit issuers on the scene, planted its stake by partnering with American Airlines in the first recorded instance of a credit card loyalty system. While nowhere near as robust or encompassing as today’s top rewards cards, Citibank’s card gave customers the capability to spend their way to free or reduced airline fare. Throughout the 90s and into the new millennium, credit issuers continued to sweeten the pot with signup bonuses, cash back incentives and a wide variety cobranded efforts that made spending with a credit card all the more alluring. Cash still had its place, but credit cards were hastily becoming the preferred mode of transaction for merchants and consumers alike. Eventually, the enthusiasm propelling the credit industry and its stockpile of rewards reached a tipping point. As the 2000s wore on, the public confronted an onslaught of less-than-decent practices from the major issuers. Steep fees, interest rate hikes and hidden clauses buried deep within contracts put unknowing consumers at risk. While many cards appeared lucrative at the surface, the fine print told a slightly different story. Legislators took note. By introducing the Credit CARD Act of 2009, Washington enacted regulations to help protect and educate consumers. Both borrowers and lenders began to restructure their expectations, more conscious than ever of interest rates, credit limits and the dangers of carrying too much debt. While the credit cards in your wallet may look, feel and perform differently than those of years past, a few simple tenants hold strong from the days of the Charga-Plate. 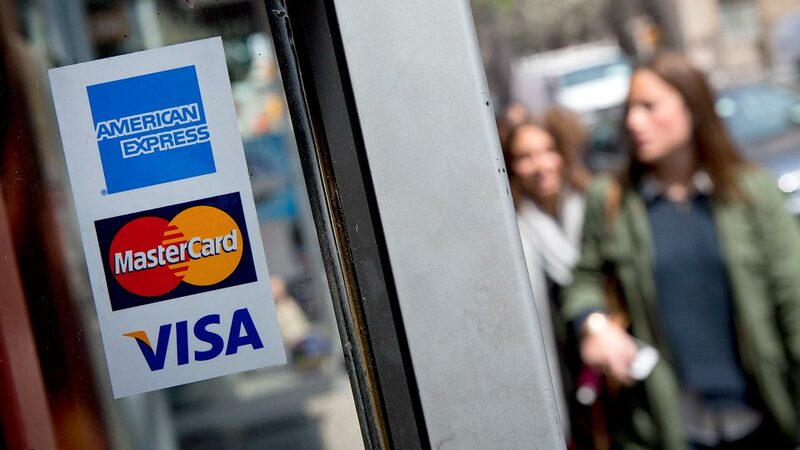 At its basis, a credit card is still no more than a promise. 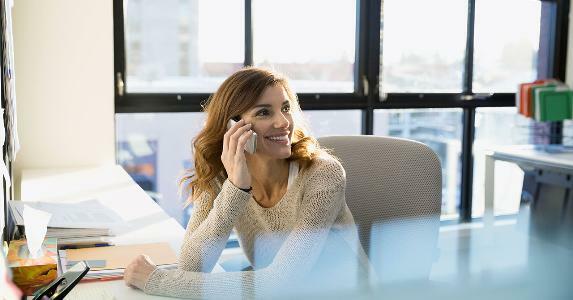 The accessibility, perks, fees and financial structure of the economy has shifted greatly since the early 1900s, but as long as borrowers and lenders still need one another, credit will serve its purpose. 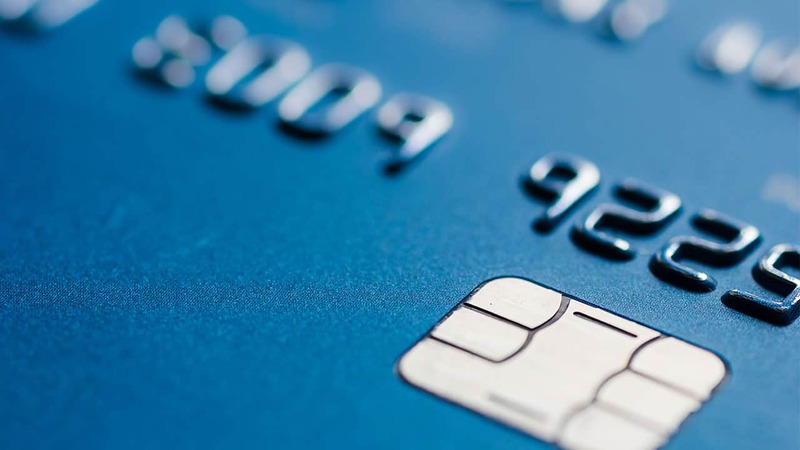 One of the biggest developments of the past decade has been the implementation of EMV technology — the silver little circuit more commonly known as the “chip.” The digital age has queried greater demands for security in the credit industry, and EMV tech is providing exactly that. These chips are impossible to duplicate, and require a unique level of authentication that magnetic strips can’t offer. That’s great news for the industry. With so many options available for every consumer’s taste and risk profile, finding the right card (or cards) is worth the endeavor. 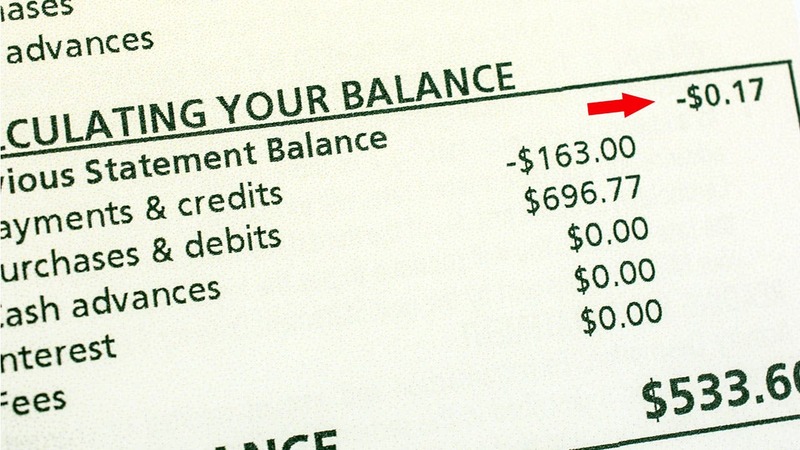 As few as 30 years ago, comparing credit cards was limited to the offers that showed up in your mailbox. 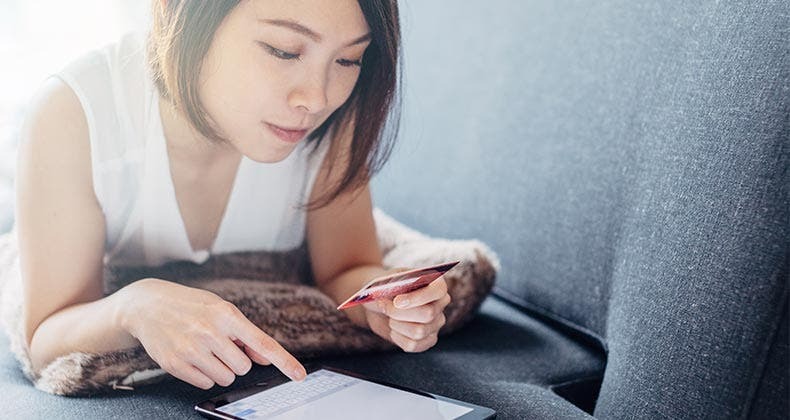 Today, sites like Bankrate empower consumers to research credit opportunities on their terms, making it less risky and more beneficial to overall financial health to use credit cards than ever before.